Every so often, readers will come across a book that’s just the right kind of offbeat—something unexpected, envelope-pushing, and perfect in its oddities. WHITE BODIES by Jane Robins was exactly that kind of read for me. This is a psychological thriller that marches to the beat of its own drum: twisted, shocking, quirky, and addictive, WHITE BODIES is an utterly unputdownable story of the blurred line between obsession and love. While this won’t be the right choice for readers looking for a crime novel grounded wholly in reality, the drama of this thriller is part of its undeniable (and disturbing) charm. From its disarming first pages to its shocking conclusion, WHITE BODIES is original and inventive - a breath of fresh air in a crowded genre, and a 2017 must-read. This chilling psychological suspense novel—think Strangers on a Train for the modern age—explores the dark side of love and the unbreakable ties that bind two sisters together. A page-turning work of suspense that announces a stunning new voice in fiction, White Bodies will change the way you think about obsession, love, and the violence we inflict on one another—and ourselves. When was the last time you read a book you genuinely could not put down? I’m so fortunate to read many fantastic books for Crime by the Book, but it still takes something special for me to be truly unable to set down my current read; even books I love don’t always make me wish my commute home from work were longer. Robins’ outstanding psychological thriller had that effect on me. WHITE BODIES is exactly what the psychological thriller genre and its readers need—it’s fresh and inventive, twisted and genuinely shocking, and delivers a new take on the interpersonal drama and secrets that define popular domestic thrillers. It’s a breath of fresh - and chilling - air. Of all the qualities I loved about this book, first and foremost were its characters. While this story does feature a husband and wife relationship, the real meat of the book examines a relationship between sisters. We follow Callie, the twin sister of Tilda, as she begins to suspect that her twin sister’s husband is abusive. 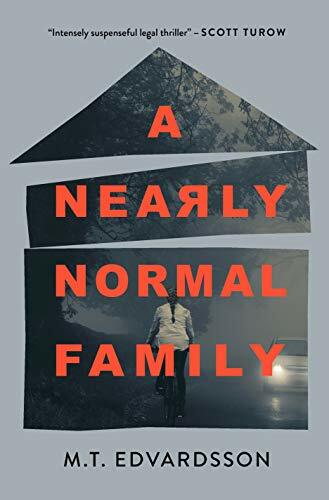 Now, I’m a huge fan of domestic thrillers (which typically deal with a relationship between husband and wife), but I was genuinely thrilled to see author Robins exploring a different kind of interpersonal relationship in WHITE BODIES. The psychological substance of this book comes in the reader’s exploration of Callie and Tilda’s relationship rather than Tilda’s relationship with her husband. Through Callie’s narration, readers learn of the (sometimes dysfunctional) bond that exists between the twins, and witness introverted Callie’s fundamental desire to protect her more outgoing sister. There’s something undeniably fascinating about the twin relationship, and I loved the way Robins explores this connection in her novel. Granted, this book is fiction, so there will naturally be exaggerations, but the undercurrent of this book is thought-provoking and applicable to anyone with siblings or dear friends: how far would you go to protect those you love most? And what happens when that person isn’t receptive to your help? Callie is the perfect narrator to guide readers through these questions. Her obsessive determination to save Tilda from an abusive relationship is at once heartbreaking and engaging; readers will find themselves working alongside Callie to understand the dark secrets at the heart of her sister’s marriage, and will find Callie to be an extremely sympathetic - if sometimes bumbling - main character. Robins has done a superb job crafting characters whose personalities are disparate yet complementary—readers will recognize the stereotypical “popular girl” and “shy girl” in the characters of Tilda and Callie respectively, but will quickly discover that there is so much more than meets the eye with this pair. Tilda’s self confidence and “performer” personality might hide dark secrets, and Callie’s introversion and “observer” role might save her sister’s life. One of my personal favorite qualities of this book will also define whether or not this read will work for you. WHITE BODIES is undeniably a bit of a dramatic read—this is in no way a negative, it’s simply a fact. Go into this book with the right expectations: it’s dramatic in the best way possible, but by the same token, it’s not necessarily the most realistic. Beyond the story’s twin bond, this book also has moments of shock value, genuinely bizarre and twisted recurring themes, online communities banding together for revenge, and years-old secrets. This certainly isn’t the right choice if you’re looking for a subtle psychological thriller, but I loved every jaw-dropping, odd moment of it. And this isn’t to say that Robins doesn’t also deliver an intelligently plotted crime novel—she does this in spades, too, and manages to balance that intentional plotting with wholly entertaining and addictive thrills and intrigue. The intentionality of her plotting allows her to deliver convincing red herrings and set readers up for huge plot twists. I’m not easily shocked as a reader, but I was genuinely horrified by a few of the scenes in WHITE BODIES—and I loved every minute of it. I won’t spoil anything for you, but I will just say that I loved Robins’ willingness to blend a domestic thriller with truly strange and disturbing moments. The bluntness and in-your-face originality of this story delivered one of my favorite psychological thrillers I’ve read this year. I could go on and on about the addictive, quirky, and downright shocking moments that make WHITE BODIES such a fantastic read, but I’ll just leave you with this: I genuinely wished my commute to and from work were longer while reading this book. WHITE BODIES is twisted, addictive, and wholly entertaining - a genuinely weird and brilliant read from an author to watch.